Welcome Home to Ashbrook Apartments! Welcome to Ashbrook Apartment Homes in west end Carrboro, where you'll enjoy all of the benefits of living on a serene, tree-lined street, yet are less than two miles away from University North Carolina- Chapel Hill! Our location makes Ashbrook Apartment Homes the perfect choice for UNC students, faculty and staff, as well as those who want to dramatically shorten their commute to UNC Hospital and Medical Centers. But it's not just our ultra-convenient location that makes the high-end lifestyle at Ashbrook Apartment Homes so compelling, it's also the lavish amenities that come standard when you join our community. Test your back swing on our tennis courts, work up a sweat in our fitness center, even enjoy some bonding time with your favorite canine at our on-site bark park! We've thought of everything to ensure that the time you spend at home is the favorite part of your day. We think you'll find that the inside of our luxury apartments are just as impressive as the lush, wooded landscape that surrounds them. 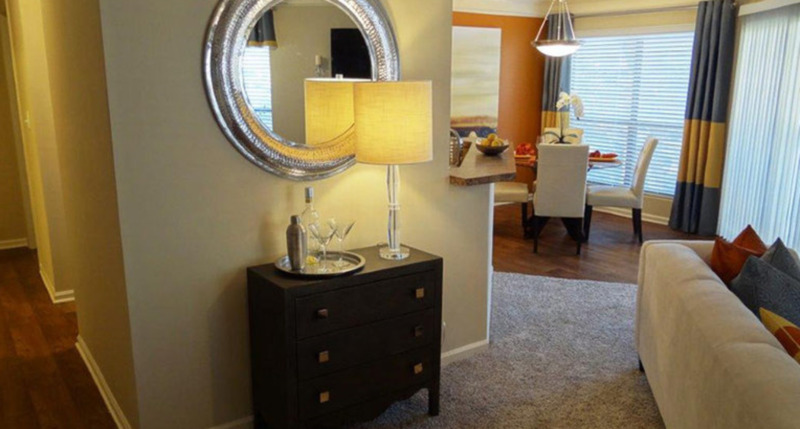 Our one and two bedroom apartment homes boast extra-large floor plans and touches not often found in apartment living, like hardwood floors, modern light fixtures, plantation blinds and energy-efficient, stainless-steel appliances in our full-size kitchens. We also offer private patios and balconies to enjoy the wooded views and an in-home washer and dryer comes in every apartment home. Join our waitlist now to lock in your price for your June through August Move-In!